For all the music festivals that L.A. boasts, few of them are quite like Tarfest. Happening this Saturday around the La Brea Tar Pits it will feature a roster of truly emerging local acts such as Hunter Hunted, The Moth & The Flame, and Dwntwn. Organized by Launch L.A., a non-profit dedicated to serving emerging artists and making culture accessible to all, Tarfest is heading into its 12th year. The event will feature local musicians, live painting, food trucks, and museum-sponsored activities for kids—all for free. We chatted with Launch L.A. executive director James Panozzo about how Tarfest got started, how it thrives in a highly monetized festival culture, and what’s down the line for an event that’s growing every year. What was the thought when you wanted to put this on? Twelve years ago, Mirace Mile and that area of Wilshire was drastically different than how it looks today. There wasn’t near the vitality, not as many restaurants [or] apartment buildings. There was this little park that was underutilized, though. The neighbors knew about it. I was a young artist and my friends were all in the arts. We thought it’d be a great idea to activate the neighborhood through an emerging arts program. When you proposed the festival, did the name “Tarfest” raise eyebrows? It did. 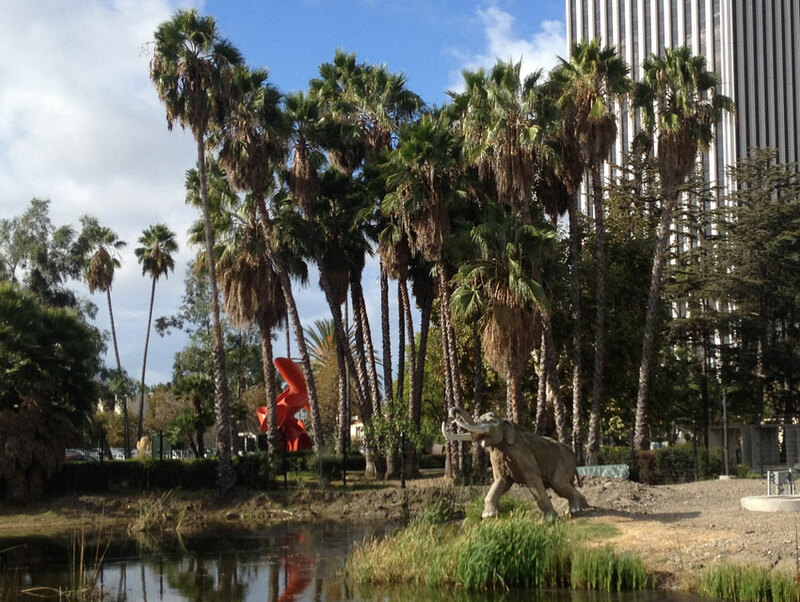 Our offices are across from the tar pits. We see tour buses go by every half hour. We take them for granted, but they’re a true international phenomenon. When people get there, they’re blown away. The dominant festival model seems to be location and monetization. Putting on Tarfest for free is kind of a rebel in the festival world. I guess it is. We’ve been tempted to monetize it a little more. Maybe we should get one headline act that would bring a lot of attention. If we’re trying to bring attention to these emerging artists, wouldn’t one headliner be the way to do that? But we’d need to pay that headliner at least $10,000. When you go out there on the day of the event, people really do take the time to say “Thank you for doing this. It’s great that it’s free.” A lot of the people we collaborate with understand that we’re doing this for free, and everyone pitches in. That feels really good. It’s about bringing everybody together and bringing your kids. I once considered myself a hipster—I still do—but I have kids now. We all grow up. There’s plenty of very cool people who are still doing amazing, popular things and having an impact on popular culture. But we’re older and we have families now. You’re never too young to hear good music, or see good art, or exercise your creativity. It’s shaped us as much as we’ve shaped it. What’s down the road for Tarfest? We’d like to get to other neighborhoods. Eagle Rock, Highland Park, Echo Park. We’d like to look toward South L.A. There are a lot of great artists in Inglewood. People are always looking for more accessibility in their own neighborhoods. Neighborhoods are becoming more walkable. People like to have their dry cleaners and their Trader Joe’s close by; we want to bring art and culture to them as well.